In the weeks leading up to my 20th birthday back in August and the subsequent months following I’ve spent a great deal of time thinking about my teenage years and reflecting on how I spent them. I think it’s only natural upon hitting a somewhat milestone birthday or on entering a new decade to look back on the previous years, often with a sense of nostalgia and fondness, but as well as those feelings I also had an overwhelming sense of missed opportunities. I don’t want this post to instantly become all doom and gloom, but I thought it might be insightful to some or relatable to others to discuss the ideas of the regret that come along with a mental illness such as anxiety. As the worrier I am, it’s a topic that’s been buzzing around my head for a little while now and I’m hoping putting pen to paper (so to speak) will push me to edge bit by bit out of my very established comfort zone. Anxiety is the sort of mental health issue that can manifest itself differently in every sufferer, and in my case it mainly comes into play in terms of meeting new people, social situations and dealing with change (not much then, lol). As a result of my qualms with social situations and feeling extremely nervy about putting myself ~out there~ I missed out on countless nights out, holidays with friends, parties and celebrations and doing the crazy, reckless, spontaneous things that are so synonymous with finding yourself and experimenting as a teen. I know I’m not alone in feeling I missed out on so many opportunities like this, but I think the important thing to remember is how to channel the regrets you might have into determination for future adventures. Looking back I now realise how although saying ‘yes’ in those situations would have felt difficult, nearly impossible in fact, it would have only given me more confidence and hope for all other opportunities that I since missed out on. Of course in hindsight it’s easy to look back and say I should have pushed myself out of my comfort zone with more determination, but I truly think it’s important to reflect on these situations in such a way that gives me an incentive to try harder in the future. I’m the only one that can make myself take these opportunities, I’m the only one who can force myself to say ‘yes’ even when my mind is screaming ‘no’ and I’m the only one who can really reflect my words into actions and make a change in my 20s. 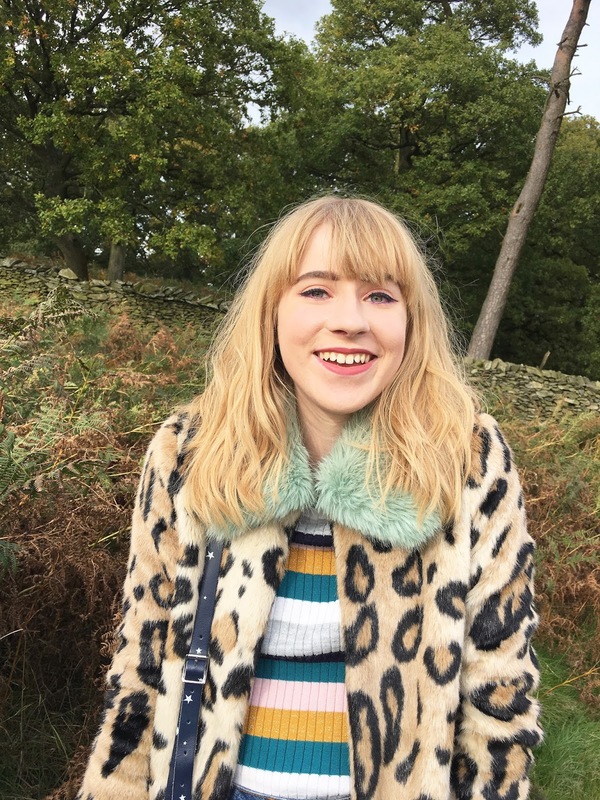 Hitting the big 2-0 (I honestly feel so old) has given the fresh perspective I needed to recognise where I can improve and challenge myself and I’m really, truly excited about the future and the idea that it will involve happiness and spontaneity. Below are some of the things I’ve done since being 20, both as a reminder that I’m doing a good job of fulfilling the promise I made to myself, but also to anyone else feeling the same sense of sadness about pushing themselves. GURL U CAN DO IT. 1. As a birthday treat for myself and Scott, we booked a hotel in Brighton for 2 days to celebrate entering our 20s together and it was THE best decision I’ve made in such a long time. We went on the pier, wandered the shops, ate way too much Italian food and cuddled on the beach. I was determined to start my 20s as I mean to go on and I’m so proud I actually did it and made some of the loveliest memories I have of Summer 2017. I love that our birthdays are two days apart because it means I have him by my side for all the achievements I set out for the next year of my life. 2. Another beach getaway next (there’s no stopping this gal), I headed to Margate with my dad and sister for the August bank holiday weekend and explored a city that had been on my ‘To Visit’ list for years! Although Margate was a tad different to what I expected (read: our b’n’b had newspaper as wallpaper and dolls heads everywhere) it was still so lovely to visit another UK beach destination and see Dreamland in the flesh, which let me tell you, WAS SO DREAMY. 3. I’ve been to two hot tub parties in the space of two weeks, one very spontaneous and one planned after the first one was such a success. I spent both evenings with some of my best pals who I don’t get to see nearly as often as I would like because we’re now spread across the UK at different uni’s, so it was so lovely to get a little bit tipsy, eat nachos and cookies in the hot tub and laugh a LOT. 4. I've landed myself my DREAM placement as Social and Content Intern at Birchbox UK and I honestly couldn't be happier career wise than I am now. The last few months of being 19 were spent interning at a variety of places and although on the whole I learnt a lot, I did have a few negative experiences along the way. Despite those not so great times, it's actually been a blessing in disguise in helping me full appreciate my new role and I feel so excited for the future. It's actually only my second day there and I thought I would feel so much more anxious than I do so maybe my baby steps are all making a difference! 5. And finally, an achievement that will ensure I end 2017 on a high. Scott and 7 of my friends are heading to Edinburgh for New Years Eve for a few days of exploring, laughing, eating and drinking some amazing food and seeing in 2018 in style. It was a big decision for me to book this trip yet now I only feel excitement towards it.